Considering an online degree at UAF? 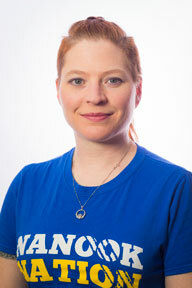 Jessica can answer your questions and help you take the next step. Jessica grew up in the suburbs north of Denver and spent a few years traveling and working before beginning her associate degree at Red Rocks Community College in 2001. She transferred to the University of Alaska Fairbanks to finish her Bachelor of Science in Biology in 2003 and stayed for her master’s degree where she studied cold tolerance in plants. Jessica has worked at UAF since 2013 and loves helping students succeed. When she’s not at work, you’ll probably find her training for triathlons or spending time with her husband and cats. Her goal is to complete a running race or triathlon in all 50 states (10% done already!) and one of her proudest achievements is finishing Ironman Boulder in 2015. Not quite sure if distance education is the right solution for you? Take this very short quiz to explore your organization and learning styles!